I'm sure that's what they're calling it, but the big plate is on the rearward side of the tire and there also seems to be a turning vane of some sort. Odd, I can't wait to see if Scarbs does something on it. It is not rearwards, it is facing forward. That blue thing you are seeing is front wing. 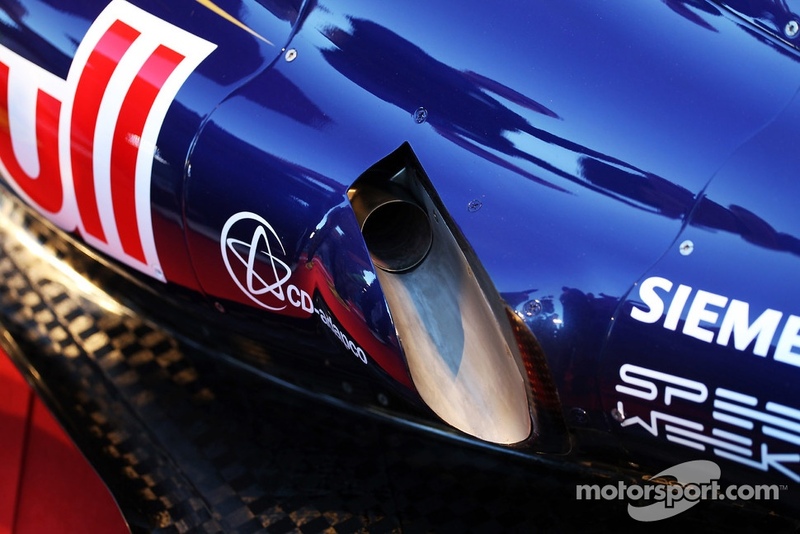 Most teams have gone for this solution this year instead of conventional brake cooling ducts. Even Ferrari has same thing on their cars. It might be helping smooth out the airflow going back from the wheel. Aha, I see it now. Was thinking the blue was the top of the side pod. Yes a lot of teams are going for brake ducts that aren't scoops, but thinking this one was the other way around threw me. I thought it looked pretty solid. It's not the fastest thing out there, but it's not the slowest. STR will benefit from upgrades when they return to Europe, so the early races will be all about taking advantage of the mistakes of others. A wet qualifying really gives them a good shot to move up the grid, too. The team has already said that 2013 isn't their main focus this year. They're really looking ahead to 2014 and are preparing well in advance for it. Unfortunately that means that they're unlikely to make much progress up the field this season, but it should still provide their drivers with the opportunity to get some decent points. The STR7 wasn't that great, yet Ricciardo managed to set the sixth fastest lap in Bahrain (which was stunning, thinking about it). Now that both of the drivers have matured and know just what to do during a race weekend and the race itself, I'll be expecting some solid results. Don't write the whole season off after the first two practice sessions of the first race of a 19 race season. They haven't gone anywhere from last season. If anything they've gone backwards. Going to be tough for either driver to make an impression on the grid this year, heck Marussia could catch them mid season if they don't buck up sharp.